Finsbury Park Station is a busy transport interchange in North London. The interchange consists of an interconnected National Rail station, London Underground station and two bus stations. The main entrances are by the eastern bus station on Station Place. The National Rail ticket office here lies in between one entrance marked by the Underground roundel symbol, while the other is marked by the National Rail symbol, and provides direct access to the main line platforms. 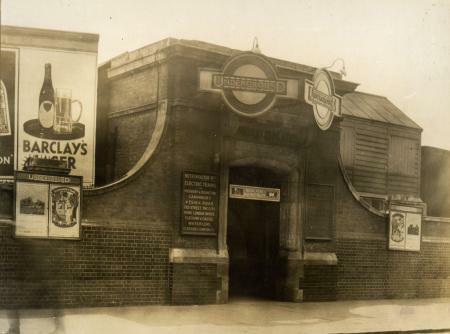 There is another exit by the western bus station along Wells Terrace, incorporating the Underground ticket office, plus a narrow side entrance to the south on the A503 Seven Sisters Road. The complex is located in Travelcard Zone 2. The above-ground National Rail station, which has a separate ticket office to the Underground station, is managed and served by First Capital Connect. Trains from Moorgate and King's Cross form inner suburban services to Welwyn Garden City and Hertford North and outer suburban services start from Kings Cross towards Peterborough and Cambridge. Inner suburban service do not serve the Moorgate branch during late evenings and at weekends, being diverted to King's Cross station instead. There are six platforms, but only five tracks, given that platforms 4 and 5 share a track. Platform 1 is used by London Moorgate services heading into London, platform 6 by Moorgate services heading northbound. Platforms 2 (southbound) and 3 (northbound) by Kings Cross services, usually fast but sometimes stopping. Platforms 4/5 by stopping northbound trains from Kings Cross. 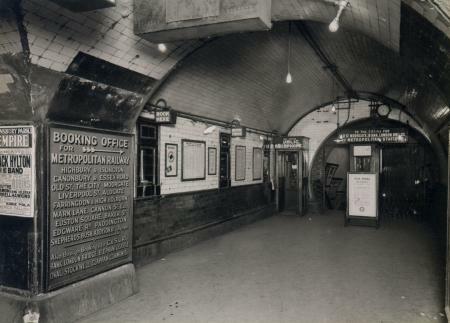 The station is served by the Piccadilly and Victoria lines. 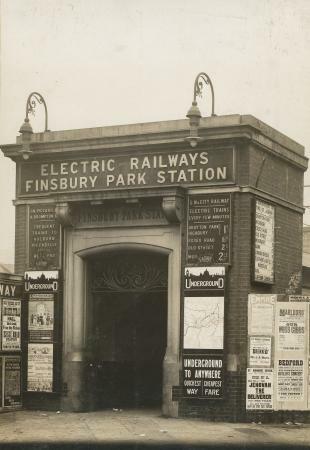 Although thought of as a 'deep-level' tube station, Finsbury Park has neither lifts nor escalators as its lines are less than 20' (6.1 m) below street level, though there used to be lifts from the high-level platforms to the tube level. These were the last hydraulically operated lifts on LT. The access to the Piccadilly and Victoria line platforms is by staircase only, reached via two narrow passages that physically prevent the installation of automatic ticket barriers - remarkable, considering its Zone 2 location. Manual ticket inspections do, however, regularly take place. Oystercard readers are available for "pay as you go" customers. Graham Bond musician (died at the station). ↑ Finsbury Park station has six National Rail platforms, numbered 1 through 6, but only five tracks given that platforms 4 and 5 cover the same track. ↑ 2.0 2.1 2.2 2.3 2.4 2.5 2.6 "Multi-year station entry-and-exit figures" (XLS). London Underground station passenger usage data. Transport for London. March 2017. Retrieved 25 June 2018. ↑ 3.0 3.1 3.2 3.3 3.4 3.5 3.6 3.7 "Station usage estimates". Rail statistics. Office of Rail Regulation. Please note: Some methodology may vary year on year. 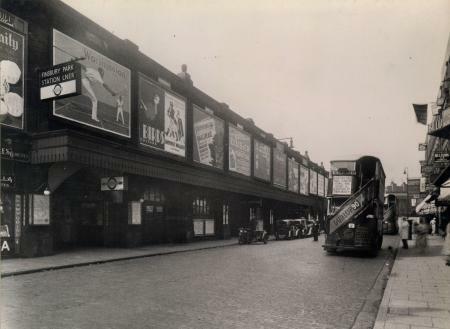 Wikimedia Commons has media related to Finsbury Park station.